Good morning LOSTIES! Everyone nice and confused after that crazy episode? Well the producers did definitely try to play some tricks on us with the Sun/Jin-centric episode "Ji Yeon." Of course, they did drop clues here and there for us to figure it out. As promised we also finally got to meet Ben's "Man on the Boat," we met the Captain of the freighter, and generally just learned of some more bizarre stuff occurring just off the island. The episode was very informative and for that deserves a "WOW" rating in my opinion! Lots of touching dramatic acting from Daniel Dae Kim too (hand him the emmy now!). Let's break down "Ji Yeon!" Sun asks Dan flat out if they're on the island to "rescue" them. Dan says it's really not his call. Poor Dan, he does seem to have a soft spot for these guys. Well, except for his creepy "If anything goes wrong, DESMOND HUME will be my Constant" scribble in his notebook! Sun eventually makes up her mind that she and Jin should go to Locke's camp to get as far away as possible from Dan, Charlotte and even Juliet. Juliet will stop at nothing to convince Sun that while she's not always entirely honest she IS about the danger around her pregnancy. So yep, Juliet tells Jin about Sun's "AFFAIR" dum dum dummmmmmm Cue Jin and Bernard going fishing! How random? But a pretty cool scene with Bernard and Jin on the OTHERS boat trying to get some fish. Bernard notes that he and Jin are the only married people on the island. He pours his heart out to Jin talking about Rose's cancer and saying he was convinced Rose would want to go with Locke. But staying with Jack was the RIGHT THING TO DO. Based on Locke being a murderer. It's all about Karma. Meanwhile Sun is furious at Juliet but Juliet DOES finally convince her that she is in danger by detailing out the steps that would lead to her death. We learn that Sun is 2 months pregnant and that she has 3 weeks to get off of the island. This kinda helps set up the timeline of WHEN the Oceanic 6 get off the island and how far into the future Sun's flash forward was (oops I gave it away!). By the end of the episode, Jin forgives Sun saying that he now knows how difficult it was being married to him before coming to the island. Jin only wanted to know if the baby was his and emotionally Sun promises that it is. Oh right, Jin also suggests that if the baby is a girl that they should name her "Ji Yeon." Tried to look up a translation of the name, but of course all that comes up is LOST stuff! Anyone out there know if it's significant? We continue to follow Desmond and Sayid's venture on the Freighter. We learn a little more about how messed up the people on the freighter are, we meet the captain, and we meet Ben's man on the boat! (I think I'm repeating myself from above!) Let's dive in! Apparently, the Captain is not very pleased with them after their breaking out of sickbay and into the communications room. Sayid informs Frank that the door was left open and they didn't break out. They figured Frank was helping them out. Not so much! Frank gives Desmond and Sayid lima beans for some grub. Man, talk about being ungrateful, Sayid was not happy with the accomodations on the freighter. I guess he really got used to the DHARMA food on the island? Anyway, it is important to note that there was an "INCIDENT" in the kitchen. This is not the only sign of things going nuts on the freighter. 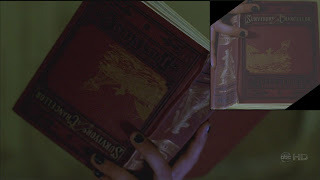 There's also REGINA (whom we've heard on the sat phones talking to the "Freighter 4") who was reading a Jules Verne novel upside down and had to be informed by Frank that she was. "Just trying to help you out" What on Earth???? The book is "The Survivors of the Chancellor" - about the final voyage of a British Sailing vessel. There was the banging on the pipes that Sayid suggested was not mechanical and that someone was repeatedly banging on the pipes over and over again. Keep in mind there ALSO was an "INCIDENT" in the communications room that Minkowski had talked about a couple episodes ago. While Sayid and Dez are being held captive, they receive a note (supposedly from Ben's man on the boat) it says "Do not trust the captain"
The Captain suggests that they would've moved the freighter away from the island but there is a sabateur onboard that has messed with the engines (Ben's Man perhaps??) But once they get it fixed they have orders from Charles Widmore to move to safer shores....CUE DESMOND looking curious! "oh that's right...you know him!" Well, I guess The Captain knows Desmond too! Interesting stuff! The Captain takes them to his quarters and shows them the "Black Box" from the FAKE Oceanic 815. He talks about there being a huge cover-up and that it would take a ridiculous amount of resources and manpower to stage the recovery of Flight 815. And where did the 324 dead bodies come from? But the big thing that he reveals is that this is one of the MANY reasons they want Ben Linus! Woaaaa so did Ben stage the Flight 815 crash? Well, apparently the producers have said that by the end of the season we're going to have 2 stories of how this all went down and both will sound pretty believable but we won't have an answer. Alright then...I guess this is one! So if Ben was behind it, where did the dead bodies come from? I'd suggest the "PURGE" but he showed Locke the DHARMA grave at the end of last season. Plus that may have been too long before the flight 815 crash for the bodies to be intact enough. Very disturbing as Captain Gault mentions! Something else to note: The Chopper was gone when Sayid and Dez surfaced. Apparently Frank was "running an errand" and supposedly to the island. Hmmmm. So the Doc (i don't remember his name, sorry!) then proceeds to take Desmond and Sayid to their new quarters which is on the quiet end of the ship. Desmond suggests that the freighter isn't moving. And Doc says "if you say so." Are we supposed to be asking about this stuff? I mean, what does THAT mean? Also, did you notice the doc had a cut on his face? I checked "The Constant" episode. He didn't have it then. He must've been involved in one of these INCIDENTS. Speaking of incidents when they get to their new room. There are a bunch of spiders (cue Sayid being disgusted again...seriously dude...you were on a crazy island for 100 days!) and a nice blood stain on wall. Looks like someone blew their brains out. Hmmmm this freighter doesn't seem like the best place to be does it? Doc yells out to the janitor guy "JOHNSON" to come and mop the blood stain. As he gets closer we realize that we have known this man by another name. Yes folks, as suspected by many of the LOST ADDICTS BLOG readers as well as the general LOST fan base, MICHAEL is on the boat! Apparently we got a glimpse of him earlier when Regina jumped overboard. But there's no mistaking it. Michael is there and seems to recognize Sayid. He introduces himself as Kevin Johnson to Sayid and Desmond. Keep in mind Desmond and Michael never met each other (as far as we know) so it will be interesting if the LOST brains uphold this in the show. But here's the bigger question....HOW did Michael get there? He took a bearing of 325 off of the island with Walt and the next we see is him on a freighter as KEVIN JOHNSON and apparently Ben's informant. Here's another question, did he look maybe a little OLDER? I'm only asking because we know Walt looks older and there has to be an explanation to that right? I think maybe the producers mentioned a possible "growth" issue when going to and/or leaving the island. But we can't rule out Time Travel right? What if Ben somehow sent Michael and Walt to the past with that bearing and then they arrived on the island years before when Ben could've had more time to influence Michael? Yeah crazy idea...and I can't really claim it as my own. Doc Jensen at ew.com is thinking that's the best way to explain Walt's growth. So Michael is suggesting not to "trust" the captain. Could that be because he's working for Ben? Judging by the previews, Sayid isn't too thrilled to see Michael. And why would he be? The Man murdered Libby and Ana Lucia all for WAAAAAAAAAAAALT!!! Next week's episode (the last of the pre-strike episodes) is entitled "Meet Kevin Johnson" so I'm guessing we might get some back story on what's been going on! Well, like I was saying before, the producers tried to confuse the hell out of us this week. What appeared to be Sun and Jin Flash forwards turned out to be a Sun Flash Forward and a Jin Flashback! I had a feeling in the beginning of the episode that this was what was going on, but by the end they tricked me too! What can I say? I'm gullible! Anyway, the cell phone should've been a dead give-away since it was almost as big as Zack Morris's phone on Saved By the Bell! Apparently, the other dead give-a-way was the DRAGON? I guess the YEAR of the Dragon was back in 2000 and won't be again until 2012. The store clerk says that it would bring good luck this year. Anyway, Jin's entire flashback seemed to do nothing but throw us off the trail. Sun's flash forward was where the meat of the story was. Let's break it down! Okay real quick. Jin was looking for a PANDA stuffed animal. Lost one in a taxi and had to get another one. Turns out he had to deliver a message from Mr. Paik to some abassador who was having a grandchild. We find out this flashback took place 2 months after Sun and Jin got married. So Sun is the last of the Oceanic 6 right? Well then who is the 5th???? We're supposed to have our full list now. Jack, Kate, Hurley, Sayid, Sun... and we've seen Ben and Aaron in the future. Apparently, the producers said they will provide a definitive list of the Oceanic 6 after this episode if there is still any confusion. It's not meant to be speculated. Well, I'm speculating!!!! Anyway, Hurley comes out to Korea to congratulate Sun. He also seemed very pleased that none of the other Oceanic crew were coming. Weird... Keep in mind, this flash forward probably takes place before Hurley goes crazy. If Sun needs to get off the island in 3 weeks and is 2 months pregnant. This must be 6 or 7 months after Island events. Hurley suggests that they go see "HIM" CUE THE WATERWORKS! 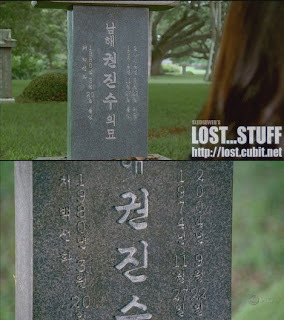 Sun brings Hurley and Ji Yeon to the cemetery where we see Jin's tombstone! :-( I guess Jin will be another island casualty? Of course, there is no confirmation that he's actually dead. If you look at the tombstone, the date of death is September 22nd 2004 which was the date of the crash. When Sun is saying "I miss you" she could've been referring to him still being on the island. But, based on Sun's reaction, it sure seems like he's a goner. You gotta give me some credit though right? I thought SOMETHING would happen where only SUN would get off the island and not Jin! Now the question is WHAT happens to Jin? Do we think he goes out like Charlie sacrificing himself for his friends? Will it happen this season? I would guess it probably would since the end of this season will deal with the Oceanic 6 getting off of the island. BTW, anyone out there...can you translate Korean and let us know what the tombstone says??? and for good measure...... BOOM LOST!!!!! Well, yet another crazy episode. We're now officially past the halfway point of the shortened strike season. And it's been one crazy ride! We're getting one more episode before we go on hiatus for a month! And, while it will be rough having no LOST for 4 weeks, it will be nice to rest my fingers for the home stretch when we return! Anyway, hope you enjoyed my ramblings and look forward to hearing some of yours! See you next week when we will MEET KEVIN JOHNSON! Wow, A flashback and flash forward, I love this show!! The Michael scene, we knew he was coming back to the show, we knew he was Ben’s man on the boat; I thought it was handled perfectly. I thought Hurley’s response of “good” was strange when he found out no one else was coming. Could Sun and Hurley be the Oceanic 6 outcasts or something? 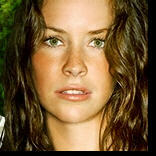 Everyone’s favorite buried alive hottie’s show was playing on Sun’s TV. Razzle Dazzle. Liked the Jin/Sun story. I guessed that Jin wasn’t going to see his baby in the beginning (he got the call about a baby before Sun asked to call him), but it being a flashback(?) and Jin was dead really fooled me. So the big question is Jin really dead? Or was the flashback really another flash forward? The clerk mentioned it was the year of the dragon that would make it either a flashback in the year 2000-2001 or a flash forward in the year 2012-2013. Thinking about what the other 4 have done since off the island, Sayid working for Ben, Kate raising Arron, Jack a suicidal drunk, it would be conceivable that Sun’s cover story was her husband died and Jin’s story was he didn’t know Sun and has a new wife. A stretch I know but knowing the writers worth thinking about. yeah I meant to double check on if that was Expose' playing on the TV. Nice catch stedman! I too, as mentioned, thought Hurley's response of "GOOD" was bizarre. As for Sun and Jin...i'm pretty sure it's as it seemed. Flashback and Flash Forward. Reading Doc Jensen's recap (www.ew.com) ...he brought up a good point. It was nice that they reminded us of Jin's FORMER self through the flashbacks so that we could see his full ISLAND redemption into the loving husband that he had become. As for Jin being actually dead? I keep going back and forth on it. I guess we really need to find out what's going on with EVERYONE ELSE (the non-Oceanic 6) during these flash forwards. Of course, that probably is Season 5 and maybe 6 too! Was totally caught off guard by the flash forward/back thing ! Capt Gault is a fictional captain in many novels. I never bought into the whole tsunami thing being brought into the story, but - and this is gross - if the discovery of the plain underwater was a little later then someone could have used tsunami victims to load up that fake plane as they had drowned. Just saying - but the timing is all wrong. Frank seemed pretty weird when he brought the Lima Beans in the paper bag - like he was hiding the fact that he was feeding them ? Was banging on the pipes morse code? Gault knowing that Des knew Widmore was odd. Des was not on the plane, so for Gault to know that Des knew Widmore then Widmore has to know that Des in on that island. I can't belive that Widmore has so much power that he can set-up a sail boat race that will send Des crashing into this particular island. So I am left thinking that Widmore had done some time traveling himself and that is how he knows Des winds up there. Does Des know Michael a little ? Some are saying that the day the sailboat arrived was the day of the funeral, that puts Mike and the rest leaving to get Walt the next day. So while Des and Mike might not KNOW eachother Des should know his face at least, and of course Mike would have been the topic of conversation quite a bit back then. Yea, I forgot about Jin's "i'll hunt you down and kill you" screaming when the panda was stolen. Definatly Jin's former attitude. But than like you said, who's the last oceanic 6? ahhh riiiight. Michael WAS there when Desmond came back on the sailboat. My bad! I agree...I would think Widmore knows Dez is on the island. As for TIME TRAVELING CHARLES? Not sure! Morse code is a potential. I just figured it was another freighter guy going crazy. btw..jensen also suggests that R.G. (from bracelet) is Regina...and that Naomi and Regina were lovers...and that's why she threw herself off the freighter. I don't buy that one!! Apparently AARON is considered one of the 6 according to Jeff jensen (i'm only guessing he knows because he talks to the producers every week). And he dismisses the fact that Aaron wasn't exactly a "PASSENGER" by the fact that it's a MEDIA coined term "Oceanic 6" and it shouldn't be looked into too much. I'll wait to hear in next week's podcast officially from TEAM DARLTON! Long time reader, first time poster. Great blog, Mike. It makes my Fridays. I love this show and the geniuses behind it. A 4 week hiatus will be difficult! I can see that playing out exactly as you described. We also know, once these characters come full circle with their redemptions (as Jin did last night)...their lifespan on the show is nearing its end! A 4 week hiatus will be tough...but it's nowhere near as tough as the 9 month breaks are! Were there others who followed that redemption --> death path? My memory is fuzzy. And Michael does look older now, too. Nice catch. But where is Walt? Do we think he is working on the freighter somewhere, too? I think Desmond being Dan's constant has allowed Dan to time travel to and from the island. This would help explain why Widmore wasn't surprised to see Desmond and helped him contact Penny. Plus, I know I am a little hung up on this, but Dan's change of attitude and seemingly increased since of knowledge during Desmond's last "black out" in 1996 has convinced me that he either time traveled while Desmond was out or time traveled back to that conversation. Anyways, this might help to explain the captain's comment about knowing who Desmond is. As for the Oceanic 6, since Jin isn't one of them, then I think the 6th person has to be Walt or Michael. I don't think Aaron counts because he wasn't listed as a passenger. What I am saying is that there is more to the Walt/Michael story as preluded to Ben's creepy "a father will do anything for his son" comment in next week's preview. If I am correct in only one of Michael/Walt surviving, then I think it makes the other one (likely Michael) and Jin front runners for the two other passengers that died before the Oceanic 6 get rescued. The only other people who I think are strong candidates for this are Claire because of her tie to Aaron and Sawyer because of his tie to Kate and even Hurley. This is probably nothing, but with the aging issue, has anyone else noticed that when drunken Jack has the long beard, there is no gray in it? Scruffy Jack on the island has a lot of gray. Did Jack get younger off the island or as crazy as this sounds could this be a clue that the future time in the flash forwards actually occurs prior to 2004? It makes my head hurt to write that, but it would help to explain why Jack keeps talking about his Dad "upstairs" at the hospital and how his Dad wrote him a prescription. Yes, I know that Jack could be drunk and delusional about his Dad at the hospital and could have forged his signature. I just also have a hard time believing that Sarah would come to check on him unless it was before he signed the divorce papers when she said she never wanted to see him again. Anyways, this theory would fit the producers saying that it doesn't really matter what year it is, but what really matters is the year when the Oceanic 6 are off the island in relation to 2004. I don't know if dates (years) were ever given during Kate's flash backs. If so, this could totally squash my above theory because we know her Mom has been sick for 4 years at the time of Kate's trial. One last thing to think about for now. If the Oceanic 6 do go back to a date prior to the crash, how creepy would it be for them to see some of the people from the island alive? Remember that most of the characters crossed paths in their pasts without knowing each other then. Would knowing who these people are prior to the crash and knowing their fates be enough to get Sayid to work with Ben in a fight against the people who plan on coming to the island, to make Kate jaded, to make Hurley feel guilty, and to drive Jack to the brink of insanity? This could maybe explain Charlie's reapperance and Libby's reappearance this season. Charlie, Ana Lucia, Eko, Shannon...i can't remember specifics in each case right now. If not FULL-on REDEMPTIONS, then their pre-island/on island story had pretty much been told which signified that death was looming! And I have no clue where Walt is. i guess it's going to depend on what happened to Michael when they took that bearing of 325 off of the island. I'm hoping they shed some light on all of this next Thursday! People keep talking about the 'two that died and the 6 that get off'. Wasn't it already stated by the producers that this was all part of the cover story ? The part where 8 survived but 6 get home is bogus. Or am I remembering this wrong ? Speaking of the Oceanic 6...the only reason I DON'T think Michael and Walt will be part of that is that the producers have been quoted saying that by the end of episode 7 you will know who the Oceanic 6 are. They really don't want us to be speculating on it much further. Good stuff with the DAN time traveling. Obviously, something is going on with DAN's time experimentations and we just don't know what that is yet. But I guess there's always a chance that he has spoken to Widmore. MJ - yeah they said it's part of the story and that we shouldn't be concerned about the 2 that died *(as part of the story). It's not important. Yeah - I'm feeling that Aaron and Sun were number 5 & six. Right after we saw that Aaron was with Kate I thought that the whole naming of the 6 returnees was definitely a media-given term and would not differentiate on whether Aaron was born or not. 6 came back is all that would matter in the headline. Ok, this was such a crazy episode and yes, I cried! I still don't believe that Jin is dead! Anyway perhaps Jin is part of the Oceanic 6 that get rescued but dies after they return that is why he has a tombstone? BTW Ji means Wisdom, I could not find anything about Yeon, none of the sites said anything. I always love reading this blog it gives so many perspectives, great job! I thought the same as you with Jin being part of the Oceanic 6 and dying afterwards. But the whole date of death saying 9/22/2004 suggests that the Oceanic 6 are going with the story that he died in the crash. Oh and what's up with the date on the LEFT of the tombstone? Is that a reserved place for SUN? That's kinda depressing isn't it? Thanks for the compliments on the blog! I have a question why is there 3 dates on Jin's tombstone? Just curious. I hope someone does translate the tombstone. I kinda assumed that the third date is Sun's birthday as well and it's a double plot. What info do the freighties have on the passengers of flight 815? They were able to recognize Jack and had all the info on Kate...made you think they have background info on everybody like Ben does. But then wouldn't they know about Michael? He wouldn't be able to hide his identity on the boat. So a good question is: do they have info only on select people? what's the source of the info & how much do they know? How do they not know who Michael is??? I would say that all they had was the manifest and they did their research from that. And since Michael is going by the name Kevin Johnson he wasn't on the list. Maybe Michael and Walt weren't "INTERESTING" enough from the manifest to do extensive research on. While, on the other hand, Kate was. But even so....Charlotte and Miles didn't recognize Kate until they were told that she WAS Kate. I will just guess that Michael is safely anonymous as Kevin Johnson. But a good question. Hopefully the writers aren't working themselves into a continuuity nightmare! Desmond is not Dan's constant, YET. I don't think Dan has experienced what Desmond went through, YET. After their meeting in 1996 he was just preparing himself for when "something goes wrong". As for why the captain knows why Desmond would be on the island, time will tell. maybe you are delusional from being dehydrated from all of your running? lol Are you suggesting that the note in Dan's journal didn't appear until that day on the island? That would be the only way that Dan wouldn't have already known that Desmond was his constant. Or do you think that an extra page was "added" to Dan's journal that day on the beach due to the events in the past or even better that all of the information in the journal moved ahead one page to "make room" for Dan's note to himself? After you drink some water or gatorade, lol, maybe you should go back and watch The Constant again. Dan was shocked about Elodise's ability to run the maze and didn't seem to know what was happening with Desmond before Desmond's about 75 minute black out, but then knew all about the side effects and about the boat that Desmond was on (even though Desmond never mentions a boat to Dan) after Desmond wakes up. Either Dan has already time traveled at this point or Widmore or one of his people had already gotten to Dan at this point. I think it is the former, especially given that Dan knew what part of 1996 Desmond was in. Think about it, there were 366 days in 1996, and Dan just happened to tell Desmond to go to Dan's college and mention the numbers and Elosie on the exact day that he built the maze and was going to train her to run it. I don't think that was a coincidence. Plus, how would Dan have really known whether or not Eloise's conscious was sent to the future (and then back or she would would have presumably been in the catatonic state) if Desmond had shown up the day after Dan already showed Elosie how to run the maze. I am all for giving the writer's a little slack due to budgetary concerns and/or time concerns, but it seems highly unlikely that the boat reference was a mistake and that the very specific information that Dan gave Desmond over the phone just happened to correspond to the exact day that he went to see Dan in 1996. Remember cdstedman to rehydrate and stretch, lol. I'm totally LOST with the time travel stuff and am going to wait for it to play out! I'll let you 2duke that one out in the meantime. Just my two cents - and let me preface this by saying the time travel thing makes my head spin - but I've seen several people here and on other boards think that Dan all of a sudden got gobs of info during Desmond's 75 minutes out of time. But - Daniel was a physics professor. He was already, for quite some time, working on his conscience-travel machine and I am sure had hundreds of theories of what can or will happen. He had been trying to make the machine work for quite some time the way he talked about it, and could not until Des gave him the right numbers. Once Eloise came back it probably proved a bunch of those theories right and wrong, and brought so many more thoughts to his mind - hence the notes on the board ? I think that yes he is shocked when it works - because he'd been trying for so long. On Lostpedia.com they list Sun's birthday as March 20, 1980...Just to confirm the fact of that being a double plot. I respect your 2 cents, but that still doesn't account for Dan knowing (asking Desmond) about him being on a boat in the middle of nowhere when Desmond never mentions a boat to 1996 Dan. Also, if Elosie is in fact his first successful experience with time travel and hence his surprise, then why does he know about how the effects of what is happening with Desmond and Elosie vary among individuals and that Desmond needs to find a constant to save himself. Ok, I’ve got an IV in me and a bottle of Gatorade so I’m ready. Dan wrote the note after his meeting with Desmond in 1996. We all know Dan has been having memory problems (due to much radiation to the head?) the note was always there and Dan conveniently forgot he wrote it. And I stand by my last post, Dan knew Desmond will be in his future and his past so he was protecting himself in case “something goes wrong” and Desmond COULD be his constant. He hasn’t had any side effect yet so he’s not jumping through time. Dan didn'y really know what was happening with Des and Elosie, rewatch it, he was making alot of guesswork. your story has more holes in it than an old pair of your running socks or at least the swiss cheese Eloise probably ate before she died. First, you say Dan isn't having any side effects, but everyone who has met him (especially the freightor folk) except for Charlotte think he is absolutely nuts. We know from first hand knowledge that he exposed his head to a lot of radiation and that radiation (as in Desmond's case) can lead to time travel with respect to the island. You say that he forgot that he wrote the note. Did he also forget that he had already met Desmond prior to the island? I mean he only met Desmond on what was probably the most significant day of his physicist life when he first experienced time travel (what appears to be his life's work). Second, Desmond tells Dan that Dan is on an island in the future AFTER Dan asks Desmond about being on a boat. Give the IV a little longer, and you will realize that an island is not the same thing as a boat. Third, do you really think it is plausible that a physicist would discover time travel in 1996 and NOT use it? Come on, I am sure that Dan has been time traveling. The fact that Dan isn't experiencing any time travel side effects could very well be because Desmond is his constant. Fourth, a physicisit or any scientist would want to know facts about Desmond's situation. After Desmond comes back from his 75 minute "nap", Dan is too busy with his theories to ask any scientific questions to Desmond. Why? Maybe he already knows a lot such as the "effects vary among individuals" and that Desmond needs a constant. He witnessed Eloise time travel 75 minutes before and hasn't interrogated Desmond, but already knows that the effects vary, speed up, and that Desmond needs a constant? Come on! Finally, I doubt that the card scene between Dan and Charlotte has anything to do with ANYTHING EXCEPT time travel. If they were testing Dan's present time memory ability or concentration skills, do you really think he could disarm the poisonous gas and remember all of that programming code if he couldn't even remember 3 cards? cdstedmann, time for some new socks man. Wow! You found holes in a lost theory, congratulation you get a cookie. Let’s take a look at the holes in your story. Dan is nuts because of long term radiation, you saw when he was crying about the 815 crash, he had his condition before he came to the island. “You say that he forgot that he wrote the note. Did he also forget that he had already met Desmond prior to the island?" Yes he did. Radiation, memory loss, ring any bells. Hey look, I Dan figured how to time travel but the only problem is the rat test subject died, sign me up! Dan isn’t experiencing time travel because he hasn’t been exposed to the side effects of the island YET! Where have they shown that he’s been going back and forth through time? I haven’t seen Dan taking long naps or having a bloody nose. “A physicist or any scientist would want to know facts about Desmond's situation. After Desmond comes back from his 75 minute "nap", Dan is too busy with his theories to ask any scientific questions to Desmond. Why?" Again rewatch that scene; He makes a lot of guess work. When Dan explains to Des he uses “I guess, Probably, I don’t know, Des throws him against the chalk board asking if he’s going to die, Dan says I don’t know, I think Elosie’s brain short circuited, these are not phrases of someone who’s positive about something. It could very well be they were testing his present memory in hopes that the island healing process cures him. Dan did share his doubts with Charlotte about disarming the gas. I think we may have to agree to disagree addict, but isn’t it cool that 2 weeks after the Des episode we’re still talking about it. Shows what a great episode it was. We can agree to disagree, but for the record you didn't dispute the boat comment or the highly coincidental day that Dan gave Desmond very specific information about. 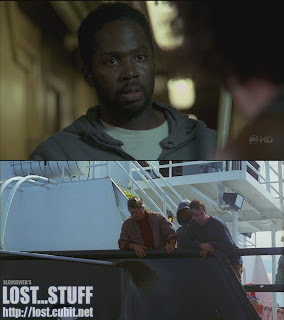 Would you agree that the writers of Lost don't usually have accidental coincindences? Also, I still think that Dan cried when he was watching the news about the discovery of flight 815 because he had a general sense of meeting these people and feeling sorry that they were dead. As for his memory loss about meeting Desmond, don't you think the memory of the numbers he told to Desmond for the machine and Eloise would have triggered the memory of Desmond in 1996. I don't know how much you know about memory loss, but the memory of Desmond in 1996 and the numbers/Eloise on that same day go hand in hand. It is a WEAK argument to say that he couldn't remember this encounter with Desmond when he remembered events that took place during this encounter. I like your idea about the island healing Dan, but since he wasn't a complete vegetable when he arrived on the island (i.e., he could walk, speak, use the phone, etc. ), I would think the effects would have been stronger (i.e., he would have been able to remember all 3 cards). After all, Rose's cancer was completely gone in a matter of days and Locke could walk immediately after the crash. Dan was on the island for two days and he still couldn't remember 3 cards? Finally, I once again don't think it is a coincidence that Dan ends up being part of Widmore's expedition and is the one who helps Desmond in 1996. I agree that Dan isn't 100% certain about what he is saying after Desmond's 75 minute "nap", but still if his only sample size is Eloise and Desmond, then he would NOT have enough information to postulate that the side effects vary among individuals or that the episodes increase in frequency. I didn't see in this episode where Dan was able to talk to Eloise and he wasn't asking Desmond any questions to gain information/facts to form his hypothesis. My background is in chemistry and physics, and once again, Dan's very odd behavior (not asking questions to Desmond, etc.) along with the coincidences that are usually written for a reason cause me to agree to disagree with you. I would hate to think that this discussion would take so much out of you. In this same vein, I hope that your need for an IV in an earlier post was due to some extra intense running today and in no way a result of our back and forth conversation, lol. I see that too much running has drained you of your sense of humor, lol. I was just joking about our back and forth conversation taking so much out of you because you mentioned in an earlier post that you were hooked up to an IV. I thought the "in this same vein" inuendo would have made that obvious, but I guess not, lol. If you read the words, it might help you to understand their meaning, lol. Man it's hard to project sarcasm in message boards. Lol My sense of humor is still here, you’ll notice I was even making fun of myself when I started the IV comment so everythings cool. The previews of next week's episode lead one to believe that Ben is using Michael while Walt is held hostage. If that is true, is Walt on or off the island? Is Ben also behind the "story" of the Oceanic 6, then? Why would they not tell the real story? Are the other Losties in trouble? Assuming it really is Widmore behind the freighter, he must know about the island by now and the Losties. Will he show up soon? Do you think the Oceanic 6 and the freighter folk all make it back? Or are the freighter folk bought off too? And yes...sarcasm is definitely hard to convey here! But I try it all the time anyway! Horseman, all good things to be thinking about! I agree. As for WALT I'm really curious to know what his story is going to be with the whole "AGE" issue. I mean...the actor has probably gotten taller since he appeared in the season 3 finale too! Will they address THAT too? Will Walt EVER come back on the show? lol It has to be one GRAND explanation! But if it does deal with a whole GROWTH issue with leaving and returning to the island. I'm going to guess that right now he is OFF island so that he will "get even taller" upon returning lol (just a wild and crazy guess though). I'm hoping this Thursday's episode will shed some light on the Michael/Walt situation since leaving at the end of season 2. Based on the Video Podcast with Harold Perrineau...he pretty much said this Thursday will be unloading huge amounts of info. We'll see! Ok, I am still not over the fact that Jim MAY be dead. I am hanging on to the hope that he is still alive with the rest of the survivors. Everyone around me keeps telling me he is dead, but here is my suspicions. Perhaps they were going to save all of the survivors but could only carry 6 people. Maybe the helicopter crashes trying to get to the freighter and they cannot go back for the rest. Jin tells Sun to get off the island first because she is starting to get the symptoms that Julliet mentions and Jack goes with her to help her out. I think that Hurley and Sun going to the cemetary is all an act for the people trying to find the island and wanting to know if in fact there were any survivors. You know Sun is good at telling lies and covering them up as we all know. Well, I know you guys will find "holes" in my theory but I do hope Jin is alive. For those who haven't seen it, here is some translations of Jin's tombstone. And if he is gone...we're at least going to get the rest of this season with him! And I'm sure he'll go out in style! But for now, there's at least the hope that he will survive! Does anyone know where all of the "others" are? I remember Ben saying if they wanted me they would have came for him. I am assuming they are still on the island. When Faraday was watching the TV coverage of flight 815 being found he was crying - I was think that he knew about it in his subconsious??? and that is why he was sobbing! Anonymous - The last we heard the rest of the OTHERS were heading to the "TEMPLE" Which I would think we'll hear or see more about before the end of the season, especially with Richard Alpert returning for at least ONE episode! We DID, however, see HARPER 2 episodes ago on orders from Ben which would suggest that Ben was lying to Locke about the OTHERS not wanting him around. But doesn't necessarily mean that with all of the time traveling that could potentially be occurring! Which, if you read the ADDICT/CDSTEDMAN debate from over the weekend in these comments, you'll see they make reference to Faraday crying and discuss the possibilities of this being time travel related! WHO KNOWS what it really is? It might have been his subconscious. I can't wait to find out though! Hi thanks for the quick response. I just love comming here and reading all the back and forth commenting going on. I can't find anyone I know who loves this show, so the only thing I got is this. I love it and thanks a million! Re-watched the ep last night and something struck me as odd. Sun is in labor, she's already had the shot for pain and then is calling for Jin. She's in alot of discomfort, the doc says the baby is in distress and he wants to do a C-section, she says no, doc says with the medication natural childbirth will be difficult - Sun groans in pain, the nurse looks and says the baby is crowning ! Like - the doc JUST said you'd have trouble with natural, then boom the baby is coming. And why would pain meds cause trouble in natural birth ?? I know that sometimes for brevity sake the show glosses over things - but why have the doc state that natural will be difficult due to meds and 5 seconds later have the baby coming naturally? I'm thinking there is something the the 'meds' part maybe. Far as I know pain meds do not make for more difficult deliveries. No problem! Well this isn't such a bad thing to have! I appreciate all of the great feedback that you and everyone else are giving about the blog. I enjoy writing this thing just as much as you guys enjoy coming here to read and comment yourself! So it's WIN/WIN for everyone! Lost scoop! : Lindelof satisfied the crowd's appetite for Lost scoop by revealing the real reason the four-toed statue has yet to be seen again. LOL - too too funny ! This is sounding squirrelly to me. Didn't team Darlton state that they WOULD clarify the O6 after last week's ep ?? Ausiello: Who said Aaron is not one of the Oceanic Six? Certainly not me. Take another look at my asterisk quiz from Feb. 27 and consider all of the possible combinations. In the meantime, don't expect a definitive answer about the Six from Team Darlton. Carlton Cuse tells me they're "not going public with any further clarifications right now." And what of the ABC promo that promised viewers they'd know the identity of the Six by the end of last week's episode? "We don't determine how ABC promotes the show," says Cuse. "But Damon and I will say you have now seen all of the Oceanic Six in this season's episodes." Haven't read the perrineau article yet, but i'll check that out soon! And crazy with the 4 toed statue. They BETTER address that! I don't care what the networks say. And yeah I don't know why there would be a difference between a 4 toed and 6 toed statue! lol Just bizarre! Another TV Guide interview with the actor who plays Michael. Warning: is just a little spoilery about tonights ep. Regarding the Oceanic 6, I don't remember if I read it on this blog or another, but I heard that the term "Oceanic 6" does not necissarilly mean that they were all on the roster, it is just a name that the media has given them. So with that said perhaps Ben is the 6th one. You never know what bizare story they come up with as why he left the island. Also, we still need to know why the 6 decide to lie about more survivors. I also want to know the answers as to why Jacob's list was of tbe supposed "good and un-flawed". What is that all about? This show is driving me to drink... :-) LOL Can't wait for tonights episode. Well, as a huge fan of Sun and Jin, this episode was very affecting for me. Of course, thrilled that Sun is one of the Oceanic 6, but sad that Jin couldn't join her. It was especially tough because Jin had forgiven Sun for her affair, which meant they had repaired the biggest issue left between them. Surely the greatest love story on Lost is that between Desmond and Penny, but for me it will always be Sun and Jin. As much as I enjoy the former, I've been emotionally invested in the latter for a long time. Even though I did have a sneaking suspicion that somehow the Panda bear toy and Sun giving birth were taking place at different times (as you did, Mike), I didn't pick up the other little clues so they still got me with the twist of Jin's story being a flashback instead of a flash forward. It was wonderful to see Hurley and Sun together again but then they threw me for another loop by showing Jin's tombstone. The big reveal was foreshadowed for a good minute or so, but I still cried because Sun was crying. Now, I realize that on Lost, Jin may not actually be dead, but it felt like Sun was crying because she'd lost Jin forever. The shocker of Michael being Ben's spy on the freighter was widely predicted (even though I didn't predict it until I read about it here), but it was still pretty affecting. 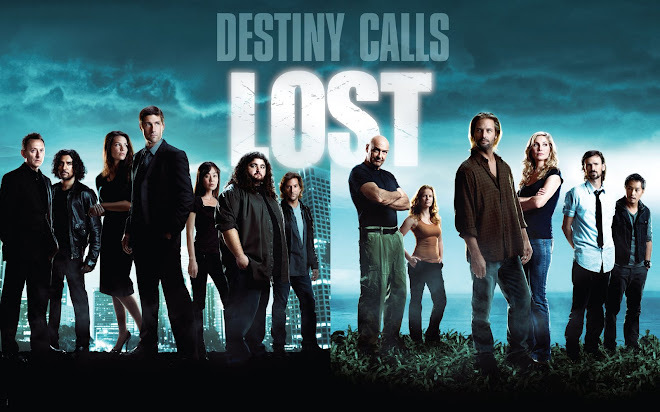 More than any show I've ever seen, Lost mixes up their plotting and timelines very effectively with outstanding scripting, enabling them to show a tragedy happening before they show what led up to the tragedy, yet we are still just as invested in watching what led up to the tragedy. Granted, the outcome appears to be known, but we've learned never to trust the show with finalities, so there's always hope. Yes, dead is dead and you can't change the future, and they've adhered to that fairly well, but I don't trust that this show won't allow "dead people" to go back in time and live a pretty full life. It's just a matter of learning how to fully control time travel. Somehow that wouldn't seem fair, but all's fair on this crazy, crazy island. I don't get all the wondering about the sixth member of the Oceanic 6? I mean, they're all famous, right? Is there some reason they wouldn't count Aaron as a member of the group? I can just see the media coverage: showing an individual photo of each surveying member, including the baby Aaron. I mean, if there was a sixth adult that made it back to the island, I'd think the media would've dubbed them the Oceanic 7. Last I checked, babies are people too. I see the commentary section is getting a little heated with the arguments. You can bet I'll just stay out of that, even with the comments being as old as they are! All great observations MIles! I think I should stay away from your "dead is dead" (or not) theories! Yeah you wouldn't have really thought about Michael being the guy on Ben's boat unless you knew he had been cast as a series regular in season 4 which was announced right before Comic-Con that year. So, we all knew it was coming. lol But, I still was speculating other people being his guy. 6th Member of Oceanic - Well, I think we were fixated on the fact that Aaron "wasn't" technically listed as a passenger on that plane. He was still in his mother's belly. But yeah...from a simplistic view, that should've been one that wasn't debated much! So, are we now playing a game of guessing whether it's the past or future we're seeing? I'm up for it! That said, I didn't figure it out until the very end. Mike, how the hell do you notice such minor things as cell phones? The year of the dragon should've been a giveaway, as I was born on one of those. But I was probably too busy laughing at the hilarious sight of Jin running around with that Panda! I always thought Sun was going to survive, but that Jin wouldn't make it. I think he must really be gone, not just left behind on the island, since Sun was so heartbroken. But if that's true, did he die on the island? And if so, how come they have a tomb? Was it just a gesture of memorabilia? That frighter seems busy becoming some freaky ghost ship. All the "incidents", people blowing their brains out or jumping from decks bound in chains! Is it just the island's proximity messing with everyone's brains, or something more? Oh joy, the most irritating character of the show is back. I hope he has more interesting things in store for us than previously. He had like two lines in the show so far: "Stay away from my son" in season 1 and "They took my son!" in 2. Certainly the island proximity is playing into it...but interesting thoughts on the haunted ship! We were at least warned the summer before season 4 that Michael was returning. So Ben's man on the boat was the worst kept secret ever. You forgot his favorite quote, "WAAAAAAAAAAAAAALT!!!!!" lol We'll see if he does anything worthwhile! Not much to add on this one except that I laugh every single time I read 'WWWAAAAAAAAAAAALLT!!' in your reviews. Hilarious. The Hurley thing certainly had everyone chattering when he was happy they weren't there. Oh man what an episode! I have to admit... I thought something was fishy when I saw the size of Jin's phone in the flashback, but they fooled me so well! Great episode. Teared up a little when Sun was crying at Jin's grave. :( Darn you LOST! The best part of this blog was reading the debate between Cdstedman and Addict about Dan, Desmond and Time Travel. You guys are crazy with your theories haha Last episode was definitely my favorite episode of LOST, and I should've known that it would find its way in to the comments again. I'm gonna have to take a break from Netflix after this one. Reading the blog/comments is starting to take just as long as watching an episode. Great stuff as usual Mike! I come here after every episode. So funny that you loved the CDSTEDMAN vs. Addict debate....I think we were ready for them to take it down a notch after awhile...but the saga does continue through the season I believe....and it gets pretty comical! So your favorite I'm guessing you're referring to The Constant right? Not THE OTHER WOMAN? I surely hope so! lol The Constant is easily the best episode of LOST and it's hard to find a single complaint about the episode. 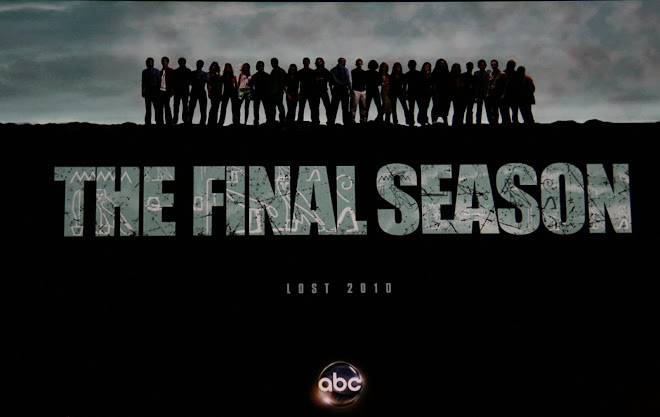 So soon after the best finale of LOST too (through the looking glass). Not to fear though..more great episodes ahead including my favorite season to rewatch...season 5! Nice that you're taking your time going through the binge watch too to read the comments, theories and debates. It was part of the experience back then. LOST was a great show and stands alone as a great show...but the internet community that formed around it was a whole other amazing thing...that obviously I am happy to have been involved with! Thanks for the props and enjoy reading and watching more! Well, OK, my analysis to guess number 6 was wrong. I had been down to Sun and Jin, but got it backwards, failing to account for Sun getting off the island soon enough to survive. At least I got the man on the boat right (least surprising surprise in Lost so far LOL). I assume he's the saboteur, also. I'm ready to get back to Ben and see what he's doing with his newfound freedom. It won't take you long to see what is going on with Ben. Enjoy!